People nearly surrounded the Parliement bulding. Motorcycles were there in force - and when they were asked to leave the area, they showed the power of the motorbikes, and filled the area with smoke. According to local news ,no arrests were made. In the end of the video, people can be heard shouting- Where is Geir - who is the Icelandic Prime Minister. While most stock exchanges have been climbing in the last two days, after EU leaders' joint effort to save the crumbling banking system was announced on Sunday, the Icelandic stock exchange has almost completely collapsed. Since it reopened this morning it has fallen 77%. This extraordinary fall is almost entirely due to the collapse of the three major banks last week. Glitnir, Landsbanki and Kaupthing amounted to more than half of the value of Iceland's stock exchange and they are now worth nothing. Apart from the three banks and closely related firms, most Icelandic companies are still standing. Iceland has few good options. The IMF is looking into our loan application and earlier today Icelandic representatives were warmly welcomed in the finance ministry in Moscow. Negotiations are reported to be well under way with the Russian government, which has offered a $5.5bn loan to the Icelandic government. This situation is not something that sits well with most Icelanders. The country has, since its independence in 1944, been committed to western cooperation, both as a founding member of Nato in 1949 and as an participant in the EU internal market after entering into the European Economic Area (EEA) in 1994. We are even fully a participating member in the EU border control scheme, Schengen. Our strongest allies have always been the Nordic states, the UK, the rest of western Europe and, for a while, America. There was a US base here until just two years ago. Iceland's self-image is tied to western Europe: we like to think of ourselves as the small Atlantic state that links Europe and the US. So it is a major psychological U-turn for most Icelanders to suddenly turn to the east for help – all the way to Moscow, of all places! Yes, we are worried. We obviously ask ourselves why the Kremlin is suddenly offering us help. Of course, we know the gesture is only a calculated strategic move in Russia's geopolitical game. But we are running out of time. Perhaps we use the word "friend" a bit too lightly when we discuss bilateral relationships. As Otto von Bismarck said, nations don't have friends, they have allies. So now it seems we have to rethink our strategies. And truth be told, we also need to face the fact that our own government is also to blame for getting us into this mess. Interest rates were kept much too high for much too long, encouraging a dangerous inflow of speculators' cash, and the failure to regulate the banks' operations abroad is a sign of utter incompetence on Iceland's part. Icesave's debt in the UK alone would be enough to pay the annual salary of every Icelander. The irony, however, is that the Russians are offering us an amount close to the sum we lost when Gordon Brown and Alistair Darling's actions prompted the shameful run on Kaupthing early last week. 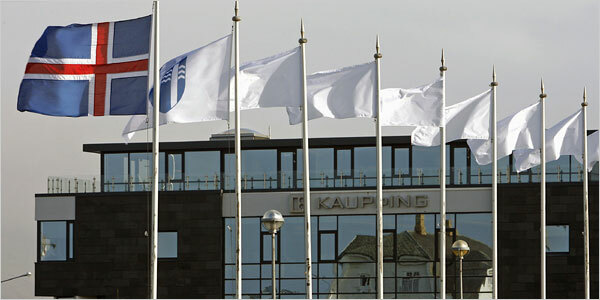 Kaupthing was by far Iceland's largest private firm before the British PM and his chancellor drove it into the ground. I see from a few of the comments that Guardian readers posted on my article yesterday that there is still some misunderstanding about the whole horrible chain of events. The trouble started when two of the three major Icelandic banks had to be nationalised. The government of Iceland instantly said it would fulfill all its legal obligations regarding Icesave, but that it might need some help to do so, simply because the money was not immediately available. Then Darling found himself in trouble in an interview with John Humphrys during Radio 4's Today programme. It seems he saw no other way to escape Humphrys' questioning than by attacking Iceland. Then Brown killed off Kaupthing by invoking anti-terror laws. The bankers who got us into this mess are not loved here in Iceland. But we should still keep in mind that while Kaupthing had nothing to do with either Landsbanki or the Icesave accounts, the UK government did not hesitate to prompt a run on the bank. And that is why the Icelandic government is now forced to look to Russia to find help. Oct 13 2008 (Bloomberg) -- After a four-year spending spree, Icelanders are flooding the supermarkets one last time, stocking up on food as the collapse of the banking system threatens to cut the island off from imports. We have had crazy days for a week now,'' said Johannes Smari Oluffsson, manager of the Bonus discount grocery store in Reykjavik's main shopping center. Sales have doubled''. Bonus, a nationwide chain, has stock at its warehouse for about two weeks. After that, the shelves will start emptying unless it can get access to foreign currency, the 22-year-old manager said, standing in a walk-in fridge filled with meat products, among the few goods on sale produced locally. The crisis is already hitting clothing retailers. A short walk from Bonus in the capital's Kringlan shopping center, Ragnhildur Anna Jonsdottir, 38, owner of the Next Plc clothing store, said she can't get any foreign currency to pay for incoming shipments and, even if she could, the exchange rate would be prohibitively high. We aren't getting new shipments in, as we normally do once a week,'' Jonsdottir said. This is the third week that we haven't had any shipments''. The central bank, or Sedlabanki, ditched its attempt to peg the krona to a basket of currencies on Oct. 9, after just two days, citing insufficient support'' in the market. Nordea Bank AB, the biggest Scandinavian lender, said the same day that the krona hadn't been traded on the spot market, while the last quoted price was 340 per euro, compared with 122 a month ago. There is absolutely no currency in the country today to import,'' said Andres Magnusson, chief executive officer of the Icelandic Federation of Trade and Services in Reykjavik. The International Monetary Fund sent a delegation to the island last week. Prime Minister Geir Haarde said on Oct. 9 his country may ask it for money after failing to get the response that we felt that we should be able to get'' from European governments and central banks. The state will also start talks with Russia over a possible 4 billion-euro ($5.5 billion) loan. Magnusson said last week that one of Iceland's largest supermarket chains was unable to get any foreign currency to make purchases abroad and another retailer's electronic payment didn't go through. Iceland will begin to see shortages of regular goods'' by the end of the week if nothing changes, he said. We are struggling to make the economy survive from hour to hour,'' Magnusson said. There is an enormous amount of capital that wants to get out of the country''. Wholesalers are demanding that importers pay before any goods are shipped, said Knutur Signarsson, head of the Reykjavik-based Federation of Icelandic Trade. Many of them ask us to pay cash before they send the goods to Iceland,'' Signarsson said. It's enough to have the credit crisis,'' he said. Then you have the currency crash. Shoppers are paying more for the goods they do get. This situation really has been a bit troubling for people,'' she said. Haarde also revealed that he had been diagnosed with a malignant tumour of the oesophagus and would not seek re-election. 'I have decided not to seek re-election as leader of the Independence Party at its upcoming national congress,' he told a news conference. 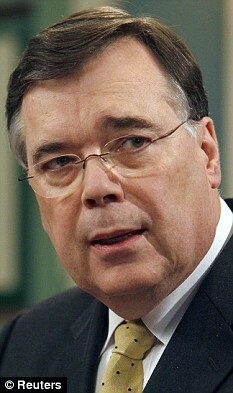 Critics wanted Haarde, the central bank governor and other senior officials to resign. Some senior figures in his party have also said they favour an early election, but Haarde had up to now vowed to defy plunging popularity and stay on. 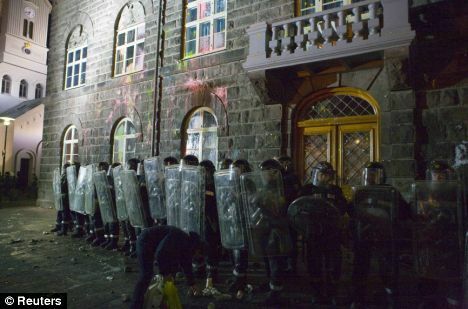 The seething crowd spattered the building with paint and yoghurt, yelling and banging pans, hurling fireworks and flares at the windows and even lighting a fire in front of the main doors. 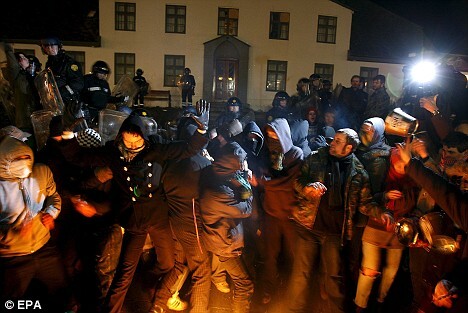 Latvia, Bulgaria and other European countries hit hard by the global economic meltdown have also seen unrest. quite right Disco - this is serious - and being censored! The revolution will never be televised is the motto of the global elite. But if Soros is behind it it will get TOTAL AIRTIME. John Perkins (Confessions of an Economic Hit Man) tells Iceland to "send the IMF packing"
Superb 40 minute interview with economist Dr Michael Hudson. With Dr. Michael Hudson on Iceland's banking crisis and foreign debt; it's decision to push back against IMF and World Bank austerity; Gordon Brown's role in the Icesave scandal; the capacity to pay principle; similarities with Germany's foreign debt reparations from the 1920s. REYKJAVIK, Iceland — A leading member of the Icelandic parliament called Monday night for the country to declare a debt moratorium and stop attempting to pay the $6 billion which the British and Netherlands governments are seeking to extort from Iceland with the help of the International Monetary Fund and the European Commission in Brussels. This dramatic call was issued by Birgitta Jónsdóttir, the chairman of the parliamentary faction of The Movement in the Icelandic parliament, the Althing. Birgitta Jónsdóttir was speaking during a special session of the Althing called to address the rapidly deteriorating economic and financial position of Iceland, one year after the collapse of the three hot-money offshore banks, Landsbanki, Kaupthing, and Glitnir. In her remarks, Birgitta Jónsdóttir observed that Iceland is already technically bankrupt, and ought to cease payment. She also pointed to the hostility to Iceland of the IMF and EU. The current prime minister, Jóhanna Sigurðardóttir, who leads a moribund coalition of Social Democrats and Left Greens, had attempted to justify her policy of financial appeasement of the British and Dutch. London and The Hague are demanding $6 billion in restitution for losses incurred by private Icelandic bankers operating in their countries as Icesave, even though the Icelandic government had never guaranteed these operations, and even though British and Dutch regulators were deeply implicated in the Icesave debacle, which came in the wake of the Lehman Brothers bankruptcy. The sum demanded by the British and the Dutch from Iceland in an operation spearheaded by the widely hated UK Prime Minister Gordon Brown would amount to about half of the yearly Gross Domestic Product of Iceland, a country with about 330,000 inhabitants. If the Anglo-Dutch were attempting to perform a proprortional extortion on the United States, they would be demanding about $8 trillion . The British and Dutch are also determined to collect at least 5.5% compound interest, meaning that Iceland’s obligation would grow over time, even if substantial payments were made. If the politically desperate Brown and his Dutch retainer Balkenende get their way, Icesave will turn into Iceslave ­ a future of poverty, unemployment, depopulation, and national collapse for Iceland, which could never pay the sums being demanded. In a related development, Icelandic Health Minister Ogmundur Jonasson, a highly respected leader of the Left Green Party, resigned from the coalition government in protest against the economic policies being pursued. Specifically, Ogmundur Jonasson stated in interviews that he could not in conscience support the Icesave sellout, as the prime minister was demanding. Ogmundur Jonasson is widely regarded as a possible candidate for prime minister. His resignation is considered the de facto start of a government crisis likely to lead to the fall of the current coalition, perhaps as early as mid-October. Birgitta Jónsdóttir’s The Movement faction is the product of a mass strike upsurge which gripped Iceland from October 2008 to January 2009, with frequent large-scale demonstrations against the previous right-wing coalition government, which had imposed the monetarist de-regulation of the Icelandic banking system, leading to the banking crisis of last autumn. Birgitta Jónsdóttir and her associates were originally elected as part of a larger group called the Civic Movement, from which they split when the Civic Movement took a course of opportunism. Birgitta Jónsdóttir has now placed the question of a debt moratorium squarely on the international agenda. Her courageous move shows that small countries can move world history by providing leadership for humanity in times of crisis when existing institutions are increasingly paralyzed and corrupt. In recent months, political forces in the Philippines and Sri Lanka had raised the question of debt moratoria, as had the leaders of UNCTAD. With the news coming from Iceland, the formation of an international debtors’ cartel to confront London, Wall Street, and the IMF has suddenly become a real possibility. Wikileaks has provided all manner of scoops in its short life – but why would the US government spend tax dollars spying on it? As far as "national security threats" go, real or imagined, it's likely that few Americans lose much sleep over Wilkileaks, the website that publishes anonymously sourced documents which governments, corporations, and other private or powerful organisations would rather you not see. It would appear the US security apparatus does not feel the same way. "We have discovered half a dozen attempts at covert surveillance in Reykjavik both by native English speakers and Icelanders. On the occasions where these individuals were approached, they ran away." Well, I've tried to follow what little there is about this in various places. It seems pretty clear cut that Wikileaks plan to release US forces video of an attack in Afghanistan which killed some 90 civilians and journalists and then was covered up is the problem. On April 5th at a US Press Club press conference, they will show the video. Can't wait. Just hope their servers don't creak as much as they did when they released the 9/11 text messages. Stryker is an American writer that has lived in six different countries, is fluent in four languages and a published writer in three. She looks at the big picture from a systems and spiritual point of view. This article was originally published by the Daily Kos. SACSIS cannot authorise its republication. Icelandic President Olafur Grimsson has won a record fifth term in office, riding a wave of support for his defiance of Britain and the Netherlands over massive debts from a bank crash and asserting the tiny nation’s stubbornly independent streak. 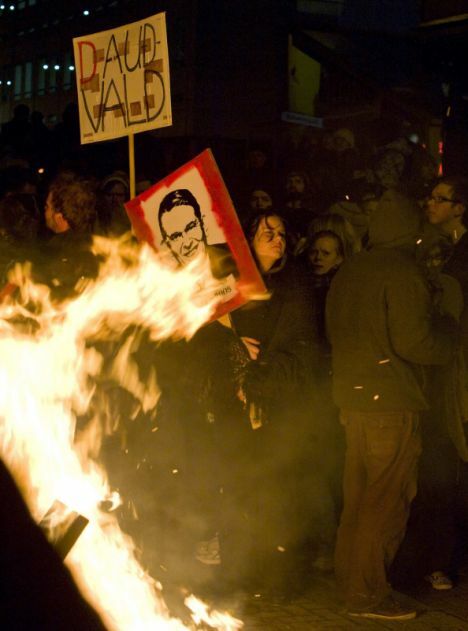 A combative former leader of a now defunct left-wing party, he became a symbol of resistance after the 2008 collapse of Iceland’s banks by taking the unprecedented step of refusing to sign into law government bills on repayment of money lost in the crash to its larger European neighbours. In doing so, Mr Grimsson, 69, emboldened a presidential office that had up until then played a mainly ceremonial role and put himself at loggerheads with the centre-left government as well as international creditors. Mr Grimsson, who, unlike the government, opposes joining the European Union, won 52.8 per cent of the vote in Saturday’s election to beat his closest rival, television journalist Thora Arnorsdottir, 37, who won 33.2 per cent, the final tally showed yesterday. Mr Grimsson, who served as finance minister from 1988-1991, was once seen as a cheerleader for the freewheeling overseas expansion of Iceland’s banks but revived his local standing when he resisted international pressure over the debt deals and spoke out against what he saw as foreign bullying of the island. When the nation’s top banks collapsed in the space of a week in 2008, the country adopted a strategy to compensate local savers but not overseas ones, the bulk of which were British and Dutch depositors with so called Icesave online accounts. The two countries later demanded repayment of about £3.2 billion they spent compensating domestic savers, triggering a fierce international row. Twice, deals with the Icelandic government were agreed only for Mr Grimsson to refuse to sign them. While Iceland has begun repayments, international courts are still considering the legality of Iceland’s actions. By effectively vetoing the agreements he broke well over half a century of political tradition and staked out a claim for a much more active and powerful presidential office, a course he has pledged to continue. 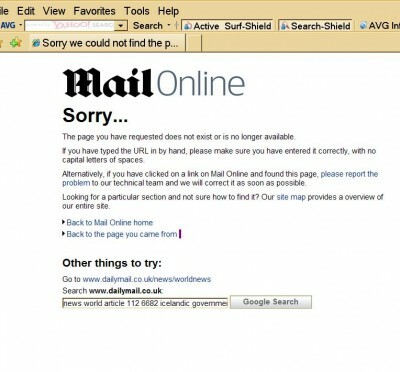 “The result is clear support for the democratic revolution that has followed the Icesave case here,” he said yesterday. The country of just 320,000 people endured more than two years in deep recession following the financial meltdown, but has since made a surprisingly strong recovery. Still, unemployment remains high and the austerity measures needed to meet the terms of an international bailout received at the height of the crisis has left the established political parties, already tainted by the collapse, mistrusted by many. The election was a single round and the candidate with the most votes wins a four-year term. REYKJAVIK, Iceland – For a country that four years ago plunged into a financial abyss so deep it all but shut down over­night, Iceland seems to be doing surprisingly well. It has repaid, early, many of the international loans that kept it afloat. Unemployment is hov­ering around 6 percent, and fall­ing. And while much of Europe is struggling to pull itself out of the recessionary swamp, Ice­land’s economy is expected to grow by 2.8 percent this year. Analysts attribute the surpris­ing turn of events to a combination of fortuitous decisions and good luck, and caution that the lessons of Iceland’s turnaround are not readily applicable to the larger and more complex econo­mies of Europe. But during the crisis, the country did many things dif­ferent from its European coun­terparts. It let its three larg­est banks fail, instead of bail­ing them out. It ensured that domestic depositors got their money back and gave debt relief to struggling homeowners and to businesses facing bankruptcy. Iceland also had some advan­tages when it entered the cri­sis: relatively few government debts, a strong social safety net and a fluctuating currency whose rapid devaluation in 2008 caused pain for consumers but helped buoy the all-impor­tant export market. Govern­ment officials, who at the height of the crisis were reduced to beg­ging for help from places like the Faroe Islands, are now cau­tiously bullish. “We’re in a very comfort­able place because the govern­ment has been very stable in fis­cal terms and is making good progress in balancing its books,” said Gudmundur Arnason, the Finance Ministry’s permanent secretary. But not even Arnason says he believes that all is perfect. Infla­tion, which reached nearly 20 percent during the crisis, is still running at 5.4 percent, and even with the government’s reliefWindow shoppers stroll in Reykjavik, Iceland, on June 21. Iceland’s economy is expected to grow by 2.8 percent this year, and the jobless rate is 6 percent and dropping. programs, most of the country’s homeowners remain awash in debt, weighed down by inflation-indexed mortgages in which the principal, disastrously, rises with the inflation rate. Taxes are high. And with the country’s currency, the krona, worth between about 40 and 75 percent of its pre-2008 value, imports are expensive. Strict currency controls, imposed during the crisis, mean that Icelandic companies are forbidden to invest abroad. ...While the EFTA court said the run on Icesave accounts had come about "as part of the worldwide financial crisis", many in Iceland acknowledge the roots of Iceland's 2008 financial meltdown lay in insupportable expansion on the part of the country's three leading banks — including Landsbanki — and their over-reliance on certain large customers. David Milliband heads up a Commission to reign in control over the international waters for mineral extraction and fishing rights. (Reuters) - Iceland said on Saturday it would launch a mortgage debt relief programme worth about 150 billion krona ($1.26 billion), in a move that could hurt its credit ratings and which critics say could scare off foreign investors. Iceland is slowly recovering from its deepest ever financial crisis, but many households are saddled with mortgages they cannot afford to repay, squeezing consumer spending and economic growth. "The plan will assist over 100,000 households," Prime Minister Sigmundur Gunnlaugsson said. "This will be the beginning of an economic renaissance." Debt relief will apply to some 1.36 trillion krona in mortgages linked to inflation, with a maximum limit of 4 million krona per household and totalling around 80 billion krona over the four-year period of the programme. Mortgage holders will also be given tax breaks to encourage them to use pension savings to pay down their borrowing, a measure worth about 70 billion krona. A centre-right coalition of the Progressive Party and the Independence Party won an election earlier this year on a promise to reduce the financial burden on households after years of austerity. The government said it would finance the measure through tax hikes on financial institutions and a haircut on around $4 billion in debts owed to overseas investors in Iceland's failed banks, which collapsed in late 2008. Those debts are now mainly held by hedge funds, which bought them at a deep discount. "The net impact on the Treasury is expected to be insignificant each year during the period 2014-2017," the government said. Iceland's financial system and currency collapsed in late 2008 and it was bailed out by international lenders. It exited that programme earlier this year, but growth remains sluggish and inflation well above the central bank's target. Households, corporations and the government are saddled with heavy debts, and capital controls, imposed at the height of the crisis, are crimping investment. Writedowns of mortgages linked to foreign currencies and other measures have already cut household debt levels by around 200 billion krona - nearly 12 percent of 2012 GDP - and the new measure will be worth an additional 9 percent of output. However, rating agencies and the IMF have warned that with Iceland's economy still sluggish and government finances weak, there was little room for new debt relief measures. Rating agency Fitch estimated that the government will run a deficit of around 3 pct of gross domestic product this year. In July, S&P said it could downgrade Iceland's BBB- rating if debt relief weighed heavily on government finances. S&P also said a haircut imposed on foreign creditors could damage the willingness of investors to put money in Iceland. Over the weekend, just hours before the Panama Papers were released, we wrote a post that took "A Look Inside Iceland's Kviabryggja Prison: The One Place Where Criminal Bankers Face Consequences." And then, minutes later, the Panama Papers were disclosed by the ICIJ, which had a clear target: to "expose" the "circle of friends close to Putin", and of course, to reveal the dirty laundry of the Iceland Prime Minister, who resigned just two days after his shady offshore tax dealing were revealed to the world. There was some "conspiratorial" speculation whether the explicit hit on ex-PM Sigmundur David Gunnlaugsson was precisely due to Iceland's crackdown on the country's criminal bankers. As a reminder, Iceland is the only nation that sent bankers found guilty of crimes resulting from the financial crisis, to prison. They will be taken to a halfway house today, where they will be fitted with ankle tags and released under electronic supervision. Hreiðar Már Sigurðsson , Sigurður Einarsson and Magnús Guðmundsson. Case closed, but the question lingers: is the Panama Papers merely a warning to anyone in government who dares to put bankers in prison to make sure that their own financial documents are in pristine condition, or else?